I have a two-page photo spread of professional golfers at the moment impact that I saved from an old Golf Digest magazine (July 2004). I saved it because impact is the whole point of the swing — to deliver the clubhead to the ball square, on line, and with force. I wanted to have this set of of photos hanging around so I can keep looking at them and see what it is that they all do the same way. Cut now to Ike S. Handy. Ike is a fellow who took up golf late in life (over age 50) and in a matter of a few years was a scratch player. 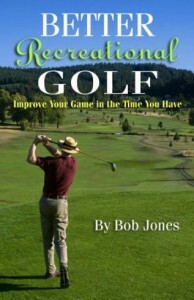 He won senior tournaments in Texas, has many holes-in-one, and reliably shot his age even in his 80s. Why? Because he hits the ball straight. Not real far, but straight. 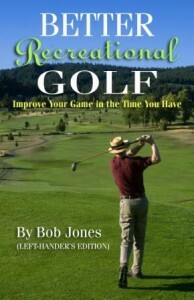 He wrote a book called, oddly enough, How to Hit a Golf Ball Straight, in which he explains how he does it. He says this in every imaginable way throughout the book. The hands must pass the ball before the clubhead strikes it, and the wrists must still be cocked at that moment. That is, there must still be some backwards bend in the right wrist. Back to the photo layout. These golfers pictured are: Mike Weir, Phil Mickelson, Michelle Wie, Adam Scott, Padraig Harrington, Charles Howell III, Se Ri Pak, and Ernie Els. There are two things about them that is all the same: their right wrist is bent backwards, and their hands are ahead of the clubhead. Here’s what it looks like when Rory McIlroy does it. Here’s a simple drill to learn how to get those wrists in the right place. 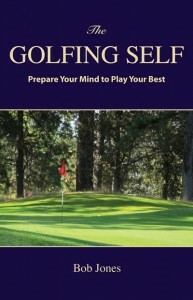 Take out your sand wedge and make half swings with only your left hand on the club (right hand if you play left-handed).You will feel the proper shape of your left wrist going through impact. 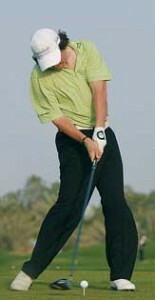 The practice maintaining that shape when you swing with two hands on the club.